1. Read the Teacher's Guide for your own personal study of doctrinal truth. 2. 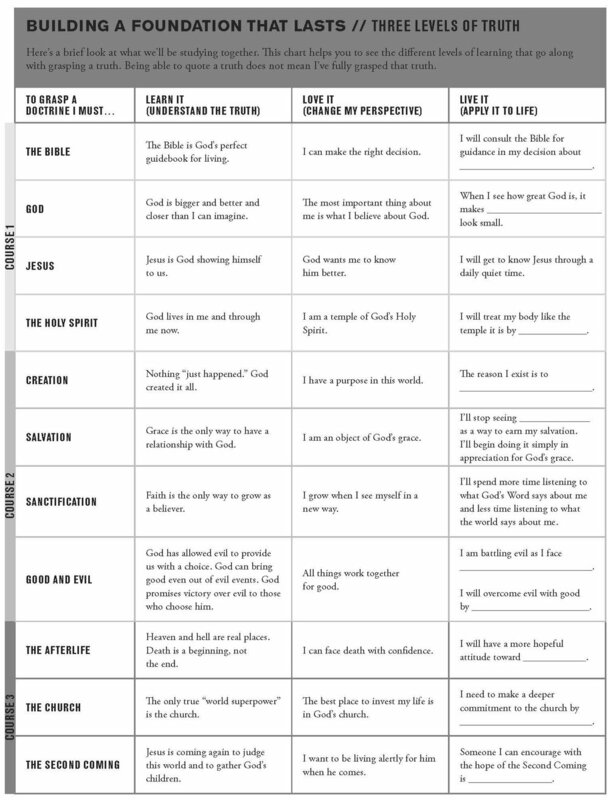 Use the Teacher's guide for your own teaching whenever you teach a doctrine. 3. Use the Teacher's Guide and Participant's guide to do a full study for your church. 4. Study the 11 doctrines one at a time in the four week studies for your small group. More Detail on these different ways that you can use Foundations to encourage the truth is below.